This is a bit of a celebratory post. 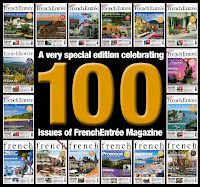 The team at FrenchEntrée magazine are celebrating their 100th edition with a special magazine that has extra bonus features including the top 100 places to visit and things to do in France. They are offering this edition at the bargain price of just £2 in the UK or £4 for the rest of the world (with free delivery) until 23rd August. To take advantage of this offer please see details here or give them a call on +44 (0) 1778 395 168 With something for all Francophiles I’m sure you will enjoy it. On a more personal note we have also got something to celebrate as nine years ago, on the ninth of August 2004 we collected the keys to our house in France and started a new chapter in our lives. All our belongings were safely in storage, with the exception of the basics that we had packed into our two cars and set off two days previously with two one-way Eurotunnel tickets and lots of hope. 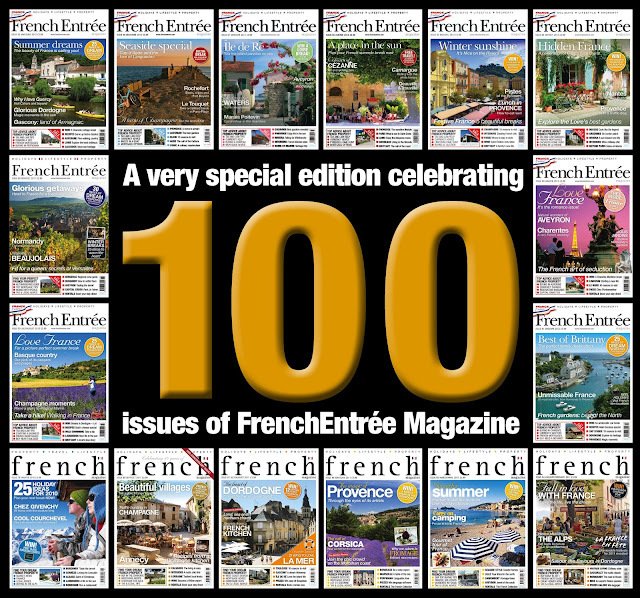 Moving to France has truly been a life changing experience and here are just nine things that have changed in the last nine years. 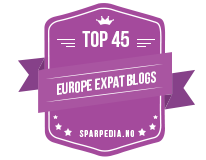 1) Writing was never an important part of my life as an accountant in the UK, but through this blog I have found it is something I really enjoy doing and as a bonus the blog has lead to a monthly column for a local magazine. 2) Since moving here Adrian and I have both lost weight and have a far more healthy and positive attitude to food. The quality and production of our food has also become a very important focus for me especially. I don’t think we will ever be self-sufficient but we produce the majority of our egg, fruit, vegetable and nut consumption. 3) I definitely spend a lot more time in the kitchen cooking meals and baking than when we lived in the UK. If it is at all possible to make rather than buy, that is what I now do. I love my new found culinary skills. 4) Cycling has become a family passion in the last few years and long distances on the bikes are the summer norm. We are therefore a much fitter family than when we arrived and spend more time together enjoying the outdoors. 5) I can now speak passable French, although I realize I still have much to learn. Ed has naturally become bilingual. 6) A life in the country with more time spent at home has made it possible for Mini the dog to become part of our family and introduce us to the delights of dog walks on the tracks through the fields. 7) With no need for designer shoes and handbags (me) and no interest in computer games consoles (the boys) we have become far less interested in having the latest consumer must haves (iPads excluded). 8) We spend more time together as a family and also as a couple which is probably the biggest advantage to life here. We have also slowed our pace of life to match French time. 9) Living in a village has given us a real sense of community and it has been possible to get involved in village life, from helping out in the library, on the village magazine committee, and organising an annual family fun day. In Reading we barely knew our neighbours even after five years of living there, mainly as we were out the house from early morning commuting to work in London and not returning until early evening. However it hasn’t all been idyllic. We have had our problems with understanding the language and making ourselves understood and nothing can prepare you for the initial loneliness of arriving and knowing no one. 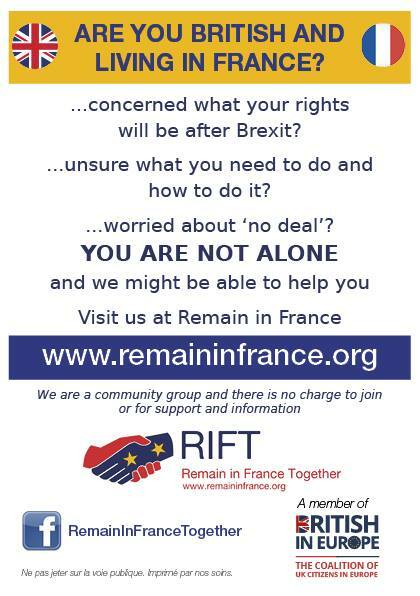 Then there are the inevitable issues with bureaucracy that most expats come across (especially so if you start a business in France) and the dodgy workmen some of us have the misfortune to meet. Missing family doesn’t get any easier with time and visits back to the UK are never long enough to see everyone. I would also say that despite having more time on our hands there still isn’t enough time, a bigger house doesn’t mean enough space for everything and three bathrooms just means more cleaning. But it has been and still is an adventure that I am glad we embarked on and wherever we end up in the future we will have these memories and experiences forever. It may not be the prettiest or the liveliest village in France but there will always be a bit of my French village in my heart. We will be opening a local bottle of something special to share this evening. Santé and Cheers!